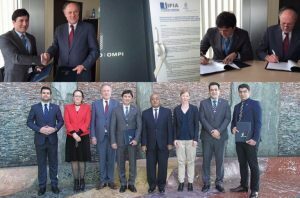 IFIA has signed several MOUs with outstanding organizations, universities and associations that perform activities in the area of invention and innovation to explore further opportunities of collaboration, provide exceptional chances for the community of inventors and open new horizons to IFIA. Geneva, 20 April 2016 – Almost concurrent with the Signature Ceremony of Paris Climate Change Agreement and the International Earth Day on 22 April 2016, International Federation of Inventors’ Associations (IFIA) signed WIPO GREEN Partnership Agreement in order to ratify its global support of this historic event. 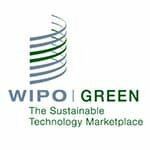 Read more about IFIA & WIPO Green cooperation. Geneva, April 14 – Pursuant to Memorandum of Understanding signed by the President of International Federation of Inventors’ Associations (IFIA), Alireza Rastegar and Korea Invention Promotion Association (KIPA), Lee Joon Seok, the exiting cooperation between the parties is boosted by exchanging information in all technical areas of mutual interest. 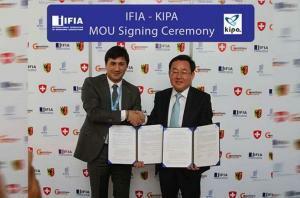 Read more about IFIA & KIPA cooperation. During the 9th International Exhibition of Inventions in Kunshan organized during 17-20 November, Alireza Rastegar, IFIA President, signed a Memorandum of Understanding with China Association of Inventions to open IFIA Office in two cities of China namely Shanghai and Beijing. Read more about IFIA & CIA cooperation. On Thursday, 7 December 2017, IFIA and the Hong Kong Trade Development Council (HKTDC), Hong Kong’s leading trade promotion agency signed a Memorandum of Understanding (MOU) to promote intellectual property trade between IFIA member states and Hong Kong. 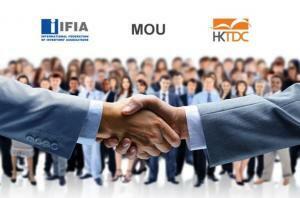 Read more about IFIA & HKTDC cooperation. 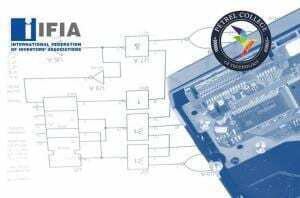 IFIA and Make48, LLC, an invention competition providing an opportunity for the team of inventors and innovators to develop a new commercial product idea in 48 hours signed a Memorandum of Understanding (MOU) in August 2017. 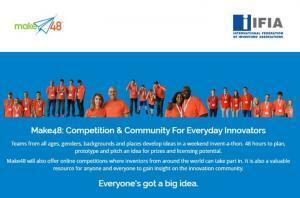 Read more about IFIA & Make48 cooperation. IFIA, Petrel College of Technology and Circuit Plus Inc. have fostered a trilateral collaboration by signing an MOU on 18 July 2017 to promote entrepreneurship and organize training programs. Read more about IFIA & PETREL COLLEGE. IFIA HKTDC Signed MOU to Provide an Opportunity for Invention Commercialization International Federation of Inventors’ Associations (IFIA) and Hong Kong Trade Development Council (HKTDC) signed a Memorandum of Understanding (MOU) to collaborate in the InnoDesignTech Expo (IDTE) during December 1-3. 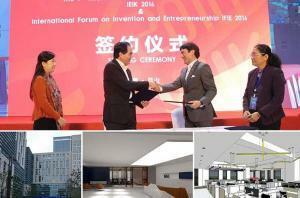 Read more about IFIA & HKTDC. 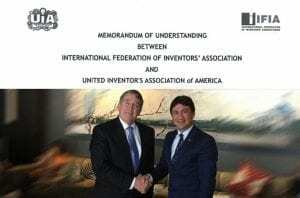 The meeting between IFIA President, Alireza Rastegar and Executive Director of United Inventors Association (UIA), John Calvert in Washington concluded with an agreement to seal a Memorandum of Understanding between the parties to foster the new cooperation. Read more about IFIA & UIA. Aiming to boost invention and innovation culture in Latin America, a Memorandum of Understanding (MoU) was signed between International Federation of Inventors’ Associations (IFIA), State University of Western Parana UNIOESTE of Brazil and Brazil International Inventors, Scientists, and Entrepreneurs Innovative Association (APIBIR) on March 4 in Istanbul, Turkey. Read more about IFIA & ABIPIR . On July 28, 2015, IFIA signed a memorandum of understanding with the European Alliance for Innovation (EAI) to help expand its mission and promote the culture of invention and innovation at a European level. 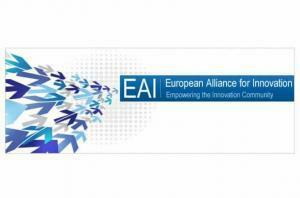 EAI was created by leaders from industry, research, and policy making organizations to engage the global community with the shared goal of securing Europe’s future competitiveness through innovation. Read more about IFIA & EAI. 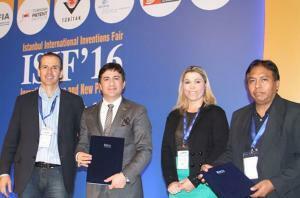 Toward the end of IFIA World Congress held on March 4, 2016 alongside Istanbul International Invention Fair (ISIF), two Memorandum of Understandings (MOUs) were signed by Mr. Alireza Rastegar, the President of International Federation of Inventors’ Associations (IFIA), and Mr. Akash Bhasvar, the chairman of United Nations Economic and Social Commission for Asia and the Pacific (UN ESCAP) Innovation and Competitiveness Task Force, as well as the Managing Director of SkyQuest Technology Group. Read more about IFIA & UN ESCAP. Bangalore, 10 September 2016 – The international training center (ICT) for innovators is going to be established by the Government of Andhra Pradesh relying on the cooperation of International Federation of Inventors’ Associations (IFIA) and Indian Innovators Association (IIA) which is stated within the format of a Memorandum of Understanding. 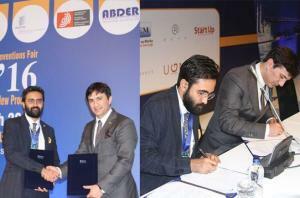 The MOU was signed between IFIA President, Alireza Rastegar and CEO of A.P Innovation Society, Nikhil Agarwal alongside IFIA Executive Committee meeting. Read more about IFIA & A.P INNOVATION SOCIETY. Alongside Bitgaram International Exposition of Electric Power Technology (BIXPO) held in Korea in October 2015, IFIAand KEPCO signed a memorandum of understanding to meet their mutual expectations. 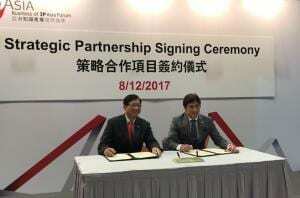 KEPCO and its subsidiaries have the intention to become a world Electric and Power invention leader. Read more about IFIA & KEPCO. With its highly developed infrastructure, prominent academic staff members, 20,000 students from 106 and 1,100 academics from 35 different countries, quality programs in English, EMU prepares its students for their international careers by educating them in becoming creative and competitive individuals with entrepreneurial skills. Malaysia, 13 May 2016 – Pursuant to the partnership of International Federation of Inventors’ Associations (IFIA) in WIPO Green project expressing the dedication to use the utmost potentials for the successful implementation of the project and addressing the climate change as one of IFIA primary goals, a Letter of Cooperation was signed between UNIVERSITI TEKNOLOGI MALAYSIA (UTM) and IFIA by Alireza Rastegar, IFIA President and Majid Muhd Zaimi Abd, Senior Director of ISIIC in order to better discharge their objectives. Read more about IFIA & UTM cooperation. 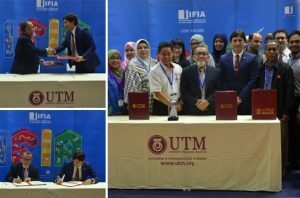 Malaysia, 13 May 2016 – Alireza Rastegar, the President of International Federation of Inventors’ Associations (IFIA) signed a Letter of Collaboration during his official visit to Malaysia with the President of C. I. 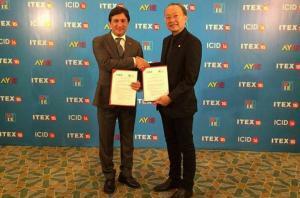 S Network Sdn Bhd , Vincent Lim to strengthen the existing cooperation between IFIA and ITEX. 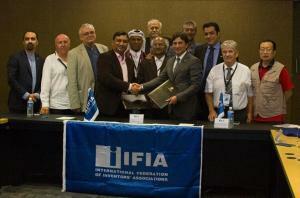 Read more about IFIA & ITEX cooperation.